Five years ago, then Hewlett-Packard CEO Leo Apotheker was derided for an abrupt plan to spin off the PC division from the mothership. It happened anyway in 2015, when the idea seemed more logical. The spin-off led to the creation of HP, which focuses on PCs and printers, and Hewlett Packard Enterprise, which focuses on enterprise hardware and the cloud. Now a year after the split, the companies are still trying to shed off the rust as they try to stand on their own legs. Growing pains have afflicted both companies as they try to find their identities. HP and HPE both had to change their business focuses and also shed excess fat, announcing layoffs last month within days of each other. But HP and HPE now are contending with competitors going in the opposite direction. Lenovo has strengthened its PC, mobile, and server portfolios, and Dell has merged with EMC to create a PC and data-center monster. But HP and HPE are still better off smaller, said Patrick Moorhead, principal analyst at Moor Insights and Strategy. "They showed they could not innovate quickly enough, nor was there enough synergy together," Moorhead said. The breakup of the company was a radical move, and there are still many unanswered questions on both sides, said Charles King, principal analyst at Pund-IT. The independent entities have struggled to nail down their true business focuses but are taking steps in the right direction, King said. There were also some mistakes as HP and HPE separated. The virtual desktop products were moved to HP, which was a bad idea, King said. Logically, they should have gone to HPE because virtual desktops rely heavily on back-end servers. The independent HP started offering a wide range of PCs and printers but cut off low-end tablets and reduced its low-cost PC offerings in search of profits. The company was formed when the PC market was in a free-fall, but a rebound has helped the company. During the third quarter, HP closed in on Lenovo's spot as the world's top PC maker, according to IDC. HP's PC shipments in the third quarter were 14.4 million, a tad short of Lenovo's 14.5 million units. HP also added color and flair to its dull PC designs to position itself as a premium PC vendor. It has released products like the super thin Spectre X2 laptop, the Elite Slice modular mini-desktop, and Pavilion Wave, a cylindrical desktop. It is also focusing on a future of virtual reality and is shipping its first 3D printers to customers later this year. But the advances haven't translated to a growth in profit or revenue yet. While HP has a clear path, it's a bit early to say how HPE will do. It started off focusing mainly on data-center hardware and software but is now targeting cloud infrastructure and hardware. The company sold off its software arm to Micro Focus and spun off its services assets, which were mainstays for many years. HPE, and before it, Hewlett-Packard, failed to develop middleware tools to really make a dent in the software market, where other companies like IBM, SAP, and Oracle are excelling, King said. Without major software product lines, HPE's integrated offerings won't be as strong as competitors like Dell, which have the software and hardware assets. HPE's approach is much like IBM's, which shed less profitable units like the PC and the x86 server businesses and sold them off to Lenovo. While those were timely moves, IBM profits are plunging with a focus mostly on software, King said. "If all HPE is doing at this point is focusing largely on hardware, you have to ask what the end game here is," King said. HPE CEO Meg Whitman provided some insight during an earnings call last week, saying the company's networking and storage products are doing well. But the company has cut ties with EMC, which dominates enterprise storage and is now part of Dell. It'll be hard to entice EMC customers to switch over to HP's storage offerings, King said. The company also cut down the number of servers it offered, but Whitman said it is winning customers from Lenovo and Dell. 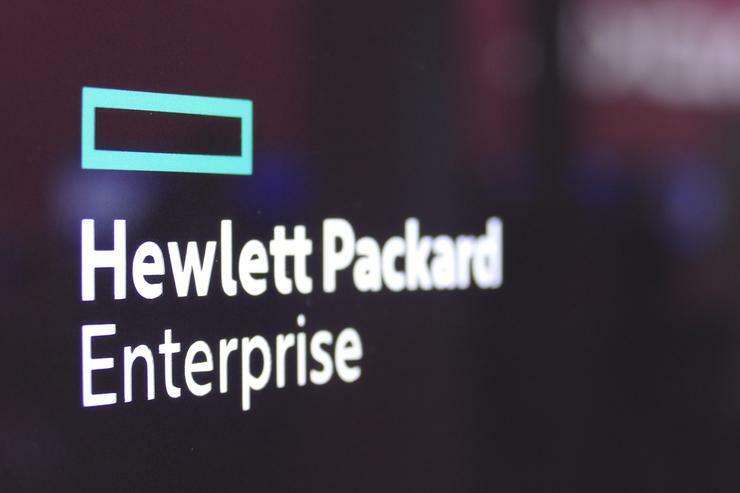 Partnerships are a way for HPE to expand into software, King said. Its 3Com, 3Par, and Aruba assets will continue to grow. But there's no clear route of HPE's long-term strategy beyond cloud services and infrastructure. HP hasn't talked passionately or explained its strategy for the internet of things, which is a big market for IBM and Dell. But HPE has some exciting technology on the horizon. One of them is The Machine, a next-generation server concept with a new architecture that focuses on in-memory computing and faster throughput. Technologies adapted from The Machine will be available in servers next year, the company said this week. The separation of HPE and HP was good for both organizations, Moorhead said. "I like where they're headed," Moorhead said.